Tired of scratched, bent or broken sunglasses? Look no further! Sick of hard to use sunglass/eyeglass holders? Want something Made in the USA? 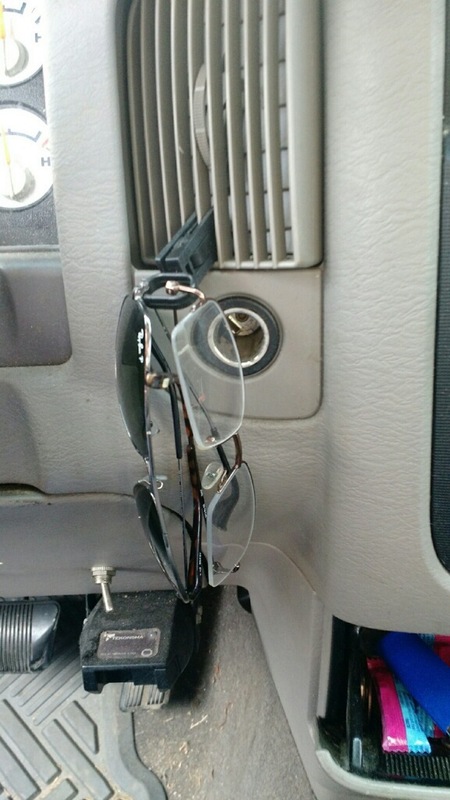 The most convenient sunglass holder for cars on the market! Enjoy the convenience of having your sunglasses in a very easy to find location! Tired of having to replace expensive glasses? We'll keep your shades safe so they don't need to be replaced! Have your advertising dollars work for you every day with promotional Klippies! Solve your Sunglasses problem with one "Klip!" "I discovered Klippy years ago and absolutely love it! I've shown it to friends and relatives and they also think it's a perfect solution if you need to store glasses in your car. 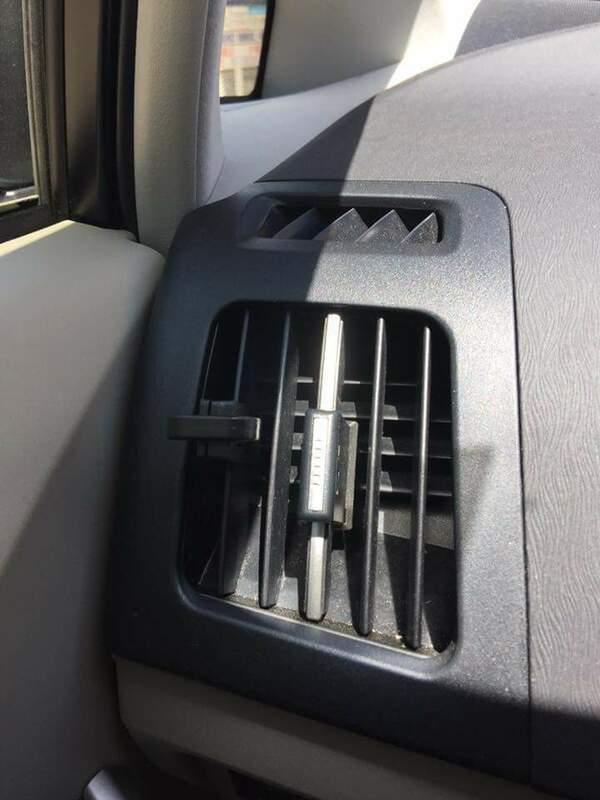 I've had one in my car for around 8 years and it works perfectly. When I contacted the inventor to get more so I could share with others, he was so helpful and kind. I completely endorse this product!" "I'm so grateful for the Klippy! It's saved me from having to buy new sunglasses all the time. It is more cost effective to get the Klippy than constantly having to buy a new pair of sunglasses!" "I would like to thank the klippy. Neat little device, cool idea. I've, lost or damaged I don't know how many pairs of sunglasses in my car. They kept sliding off the dash or falling off the seat and getting broken. Now, with the klippy, no more problems. I always know where they are. After seeing how this simple little clip saved me heartache and expensive sunglasses, I bought my wife and kids one. They also love the little clip. Try it, you'll like it, lol. Neat idea. Glad I found it." 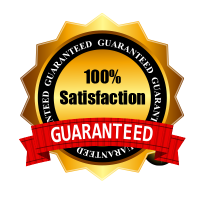 "Great product! No more glasses getting scratched from rolling around in the car. Very good quality too. My Klippy is still going strong in its third car now. Love it!" ​​I love this product and use it daily! It's so easy to install and requires no tools and no maintenance. Having the loop swivel also makes it easier to retrieve the sunglasses while driving. 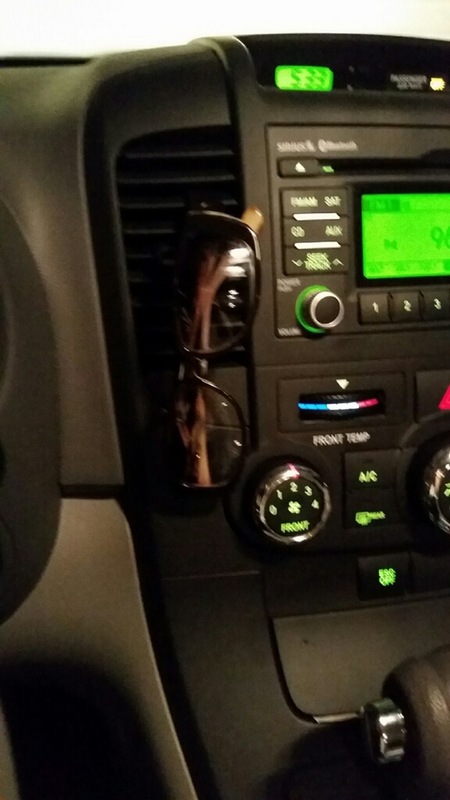 No more sunciser clips dropping my glasses on my head, o more rummaging through my center console to find my glasses Just to discover they were scratched. Everyone should have a Klippy!!!! Keeping your Sunglasses in arms reach, and out of danger. 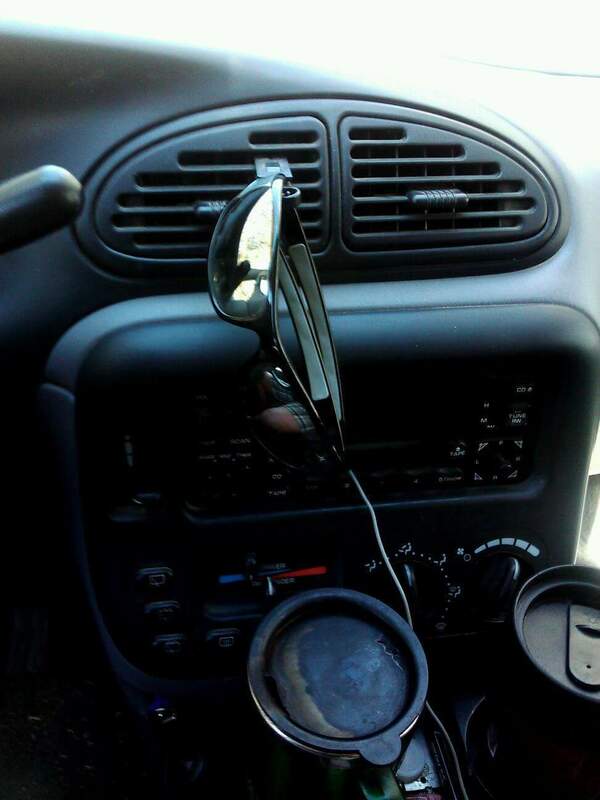 Every driver at one point or another has had to deal with the difficulty of finding a safe place to leave their sunglasses when they’re not using them. Who likes using those hard plastic sunglass containers or hard to use visor clips? What about a sunglass strap around your neck all day? No way! How often do you leave your sunglasses on the seat of your car, only to come back and sit on them when you return? Too many! Quality sunglasses aren’t cheap, so losing them or even worse, breaking them because you can’t find a safe place in your vehicle is something no one wants to deal with. Enter, the Klippy, the sunglass holder which makes keeping track of your favorite pair Ray-Bans, Oakley, or whichever brand you prefer, safe! 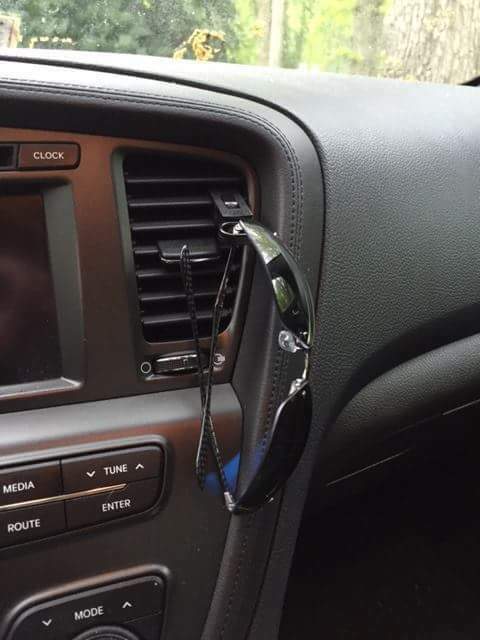 The Klippy is a one of a kind patented, Made in the USA sunglass/eyeglass holder specially designed to clip into any vehicle's air conditioning vent, and secures sunglasses in plain view. Created entirely in the United States from high quality material, the Klippy can secure all glasses, and remove the threat of bending or breaking. We make sure your sunglasses are within your reach, and out of danger. The Klippy is the perfect gift for friends and loved ones are fed up with losing their favorite sunglasses, and it also makes a great promotional product for corporate giveaways! Keep your brand in front of the millions of drivers in America sitting their vehicles!